T-Mobile has announced the first 'truly unlimited' data plan of its kind in the UK, with the Full Monty tariff offering consumers unlimited calls, texts and internet for £36 per month. As the plan is completely unlimited, it includes data intensive activities such as streaming video and tethering your phone to other devices – allowing your additional device to access the internet via the mobile phone network. The Full Monty tariff is set to launch on 1 February and will be available with all the handsets in the current T-Mobile range. Its main aim, according to T-Mobile, is to help consumers switch to the smartphone market without having to think twice about additional charges. 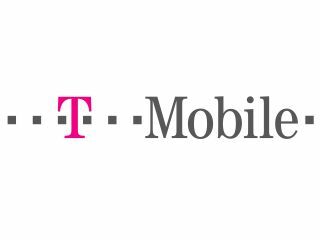 Current T-Mobiles customers will also be able to switch to this tariff come upgrade time, or at any time during their contact as long as they are on a cheaper price plan to start with. T-Mobile currently boasts the biggest 3G network in the UK and, after its partnership with Orange, it's confident that its network will be able to support the wave of users making the most of the unlimited data plan. To support the data onslaught T-Mobile has formed a partnership with BT Openzone providing all Full Monty customers free access to BT WiFi hotspots across the country, as well as T-Mobile's spots. The simply named "T-Mobile Wi-Fi App" allows users to automatically join a hotspot when one is in range, without the user having to search and login each time. The app will be available for free in the Android Market on 1 Feb, the Apple App Store mid February and Blackberry App World early March. The Full Monty tariff is available on a 24-month contract and you will be able to choose from £36, £41, £46 and £61 per month deals. All price bands offer unlimited everything, except the £36 tariff, which gives you 2,000 minutes of cross-network minutes (plus unlimited T-Mobile to T-Mobile calls). The various price bands reflect the phones which you get bundled with the contract, with the Samsung Galaxy S2, iPhone 4 8GB and HTC Sensation XE all available for free on the £36 per month deal. If you're willing to fork out £61 per month you can nab yourself a free iPhone 4S 32GB. For those of you who don't fancy shelling out £36+ a month T-Mobile is also launching a whole new portfolio on 1 February, with contracts starting from as little as £7 per month. This is separate to the Full Monty, so no unlimited data here.